Two visitors from the Diocese of Lichfield – the Reverend Julia Cody and the Reverend Simon Douglas – were guests of the United Dioceses of Cork, Cloyne and Ross from Tuesday 25th September until Friday, 28th September. They visited on the suggestion of the Bishop of Lichfield, the Right Reverend Dr Michael Ipgrave, to learn more about the Church of Ireland. Over the three days they engaged in a very varied programme that took them to parishes of different kinds, Ashton School, Bandon Grammar School, the Diocesan Service for Primary Schools, the chaplaincy at Saint Luke’s Home, the Northridge House Education and Research Centre, the chaplaincy at Cork University Hospital, the Diocesan Office, the Diocesan Church Music Scheme, an Eco-congregation, the Children’s Ministry Group, and to the Sam Maguire Bells in Dunmanway. On one evening a dinner was hosted by the Archdeacon, and on the second evening the Bishop hosted a dinner. The visitors met clergy in farming communities to hear about the likely impact of BREXIT, and they were also briefed about the Cork, Cloyne and Ross Centenaries Commemoration and Reconciliation Project. 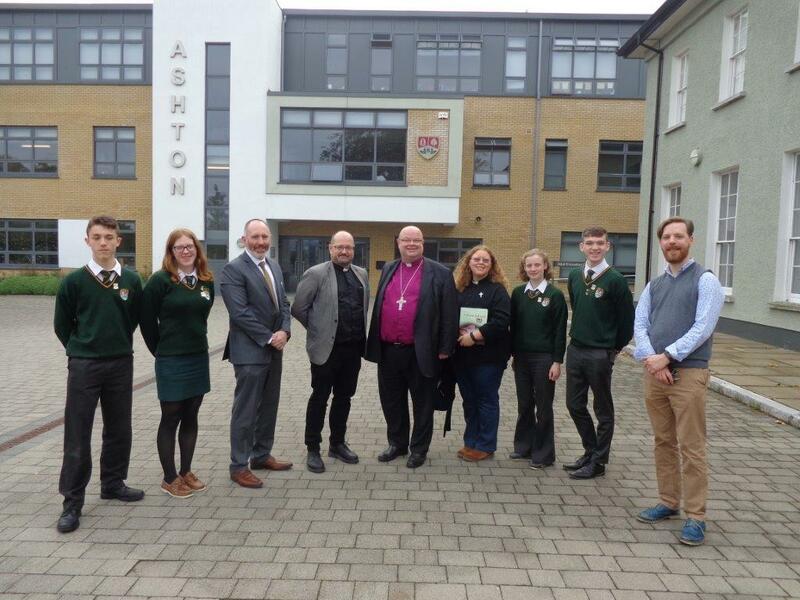 This entry was posted in Anglicanism, Ashton School, Bandon Grammar School, Centenaries in Ireland, Chaplaincies, Diocese, Making Connections. Bookmark the permalink.